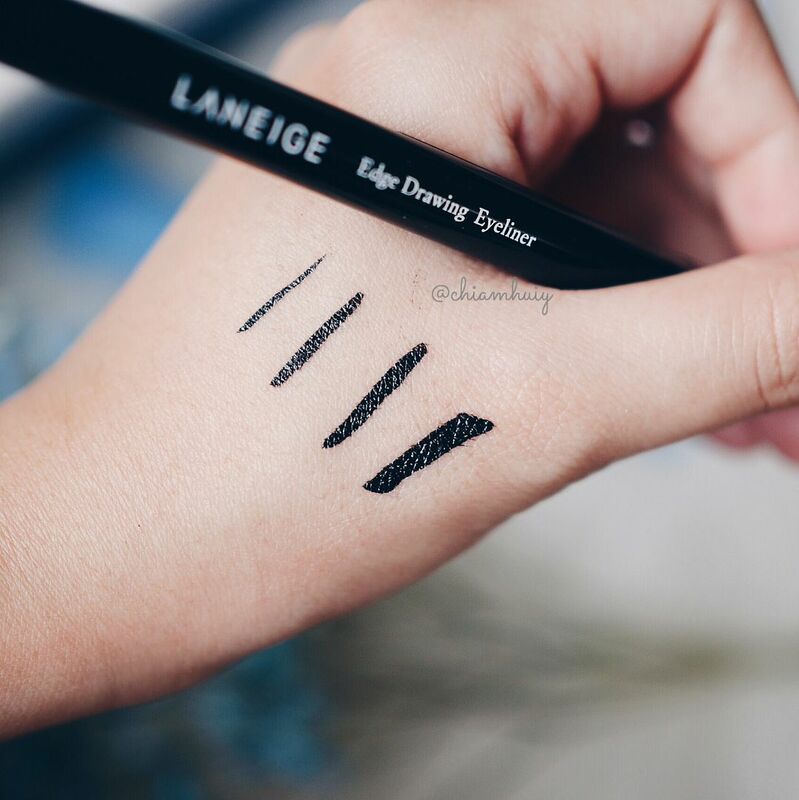 Laneige Edge Drawing Eyeliner Pen & Pure Radiant Shadow No. 10 Roseday Garden | Celine's handpicked exclusive set! 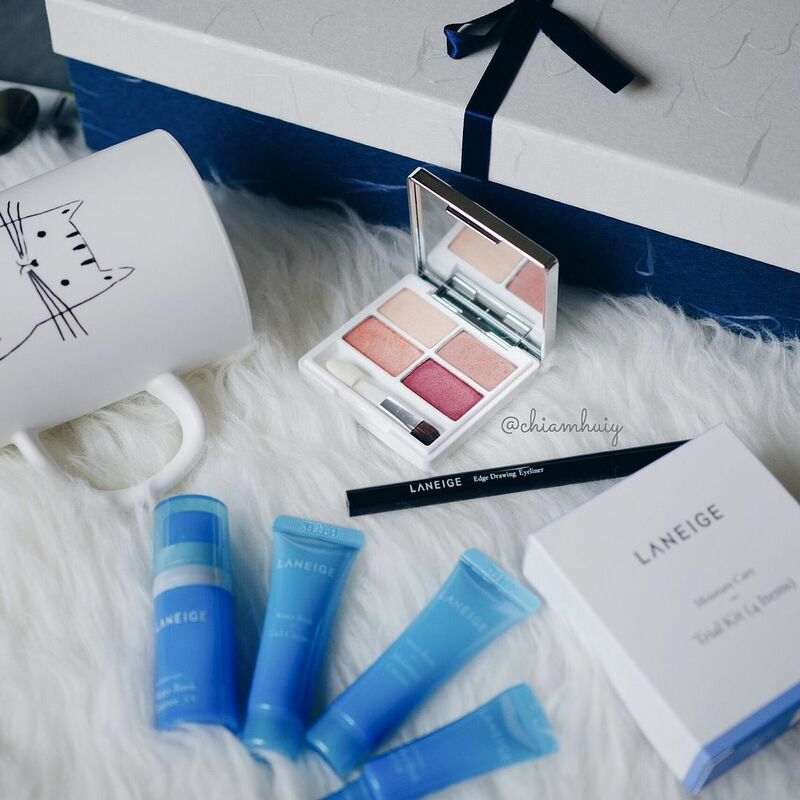 So proud to be given the chance to come up with a LANEIGE exclusive set that can benefit my fellow beauty lovers out there! I have handpicked two of my essential cosmetics and they're none other than a trusty liquid eyeliner, along with basic 4 colour eyeshadow quad. I'll explain why these two are my favourite from LANEIGE and you are also up for a treat if you decide to get either of this, PS: There's really good deal waiting for you! 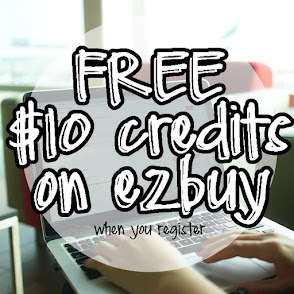 To get this set before it runs out, click here. 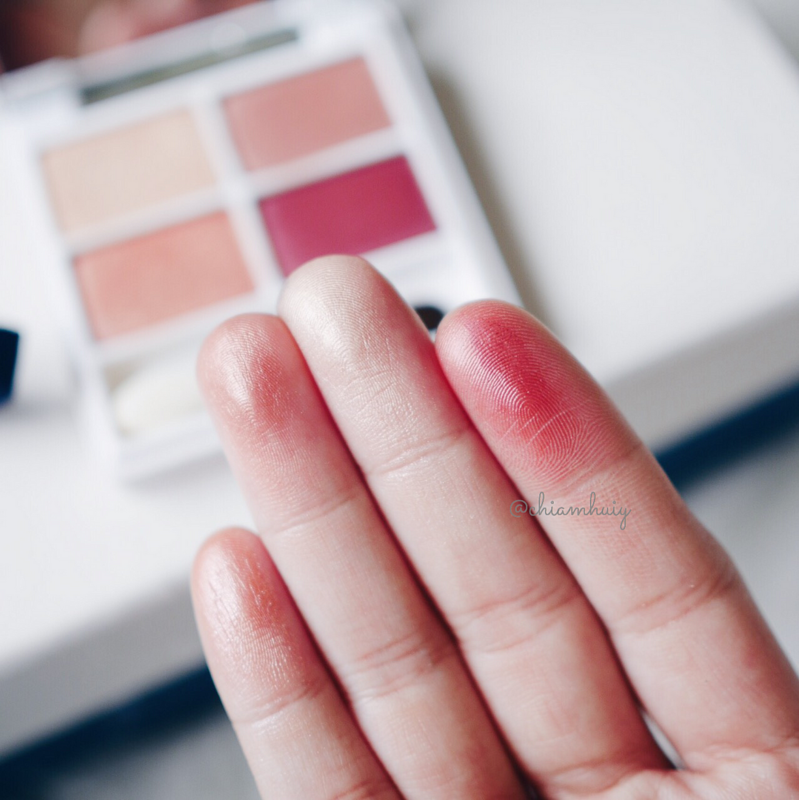 If you're in for burgundy tones, this eyeshadow quad is perfect for you. It has a nice base colour and 3 other warm tones to create a few different looks. 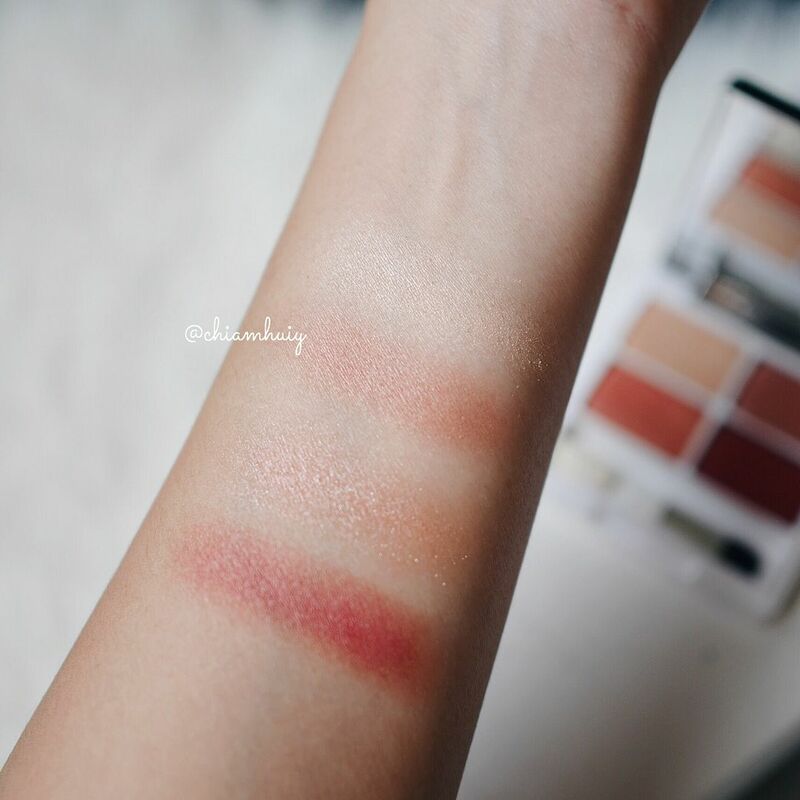 The eyeshadow are extremely fine and smooth, and the colours can be built up. That means you can start off with minimal colour for a toned down look, or build up to an intense night look with just one palette. I personally like this because it's compact, comes with a brush and easy to bring around, especially travelling. The next item that I absolutely need for a complete eye look is a trusty black eyeliner. 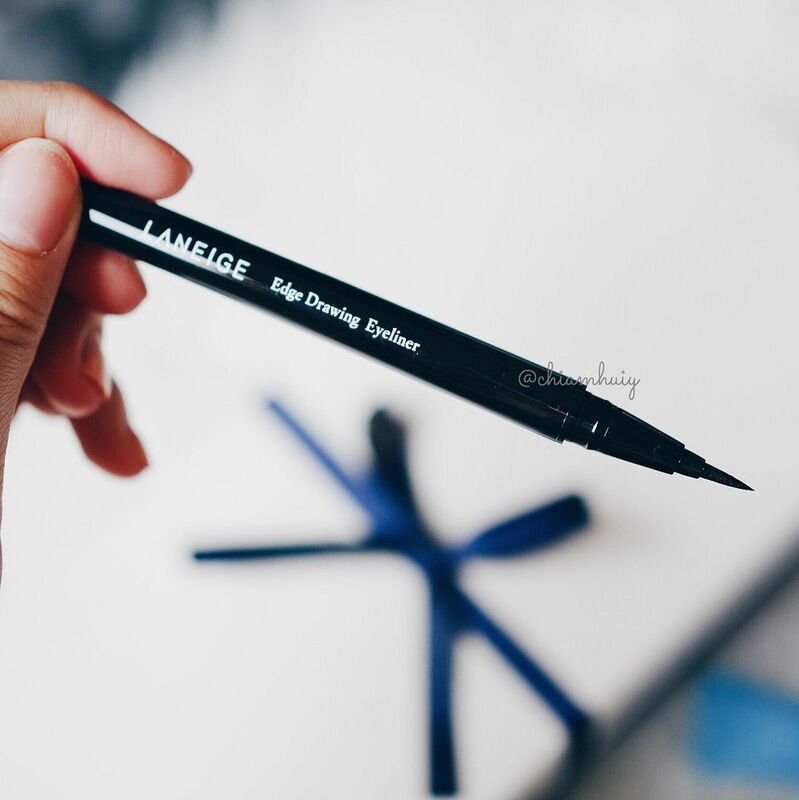 An eyeliner that does not smudge and has to be intense black.When I first took out LANEIGE Edge Drawing Pen Eyeliner in Deep Black to try, I was so impressed! I didn't know it'll come out so intense and it is absolutely waterproof and smudge proof. 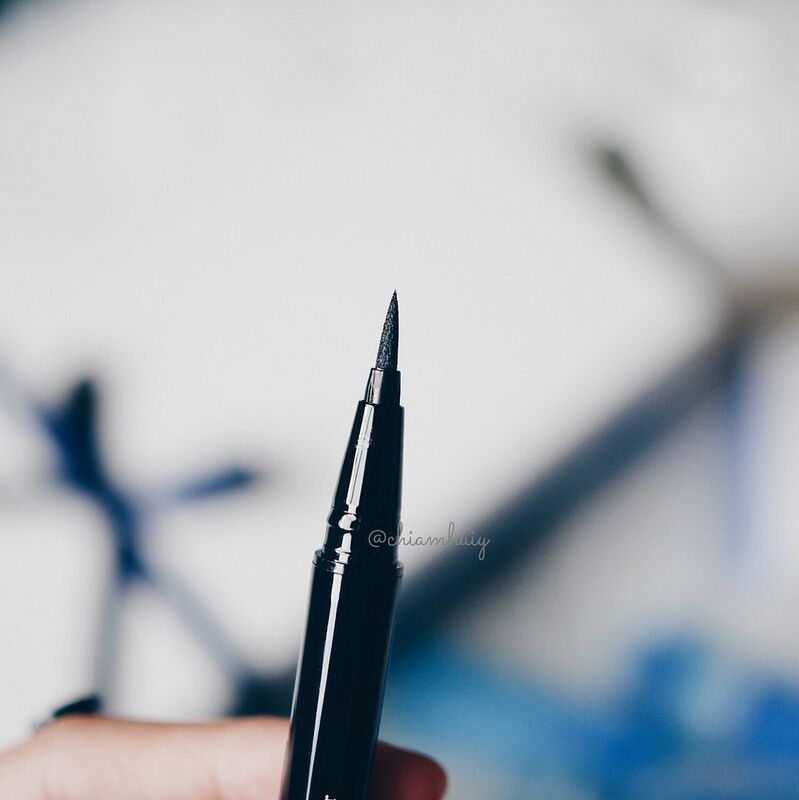 This eyeliner doesn't smudge because it instantly dries in 3 seconds upon drawing eye lines. Just like how I swatched on my hand. The tip is super sharp yet sturdy so you can draw a more defined line easily. 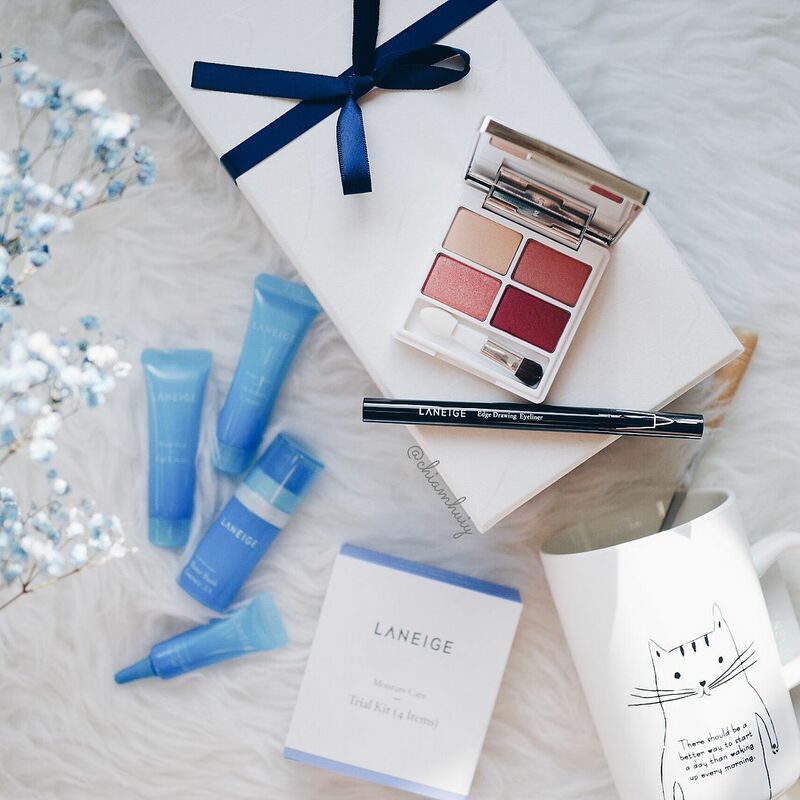 Together, they're selling at $69 AND it comes with LANEIGE's best selling waterbank trial kit! I always like how their waterbank series because it's very moisturising and it doesn't break me out. You should get this set and enjoy the kit for free! PS: Only limited sets available on Zalora!! Hope you liked this duo that I picked. Enjoy!